Robert Bosch Company Career Recruitment 2018-2019, Various Infotainment Test Engineer, C++ Linux Developer Posts Application Form at www.bosch-india-software.com The Interested and Eligible Candidates are requested to Download Application through Official website www.bosch-india-software.com. 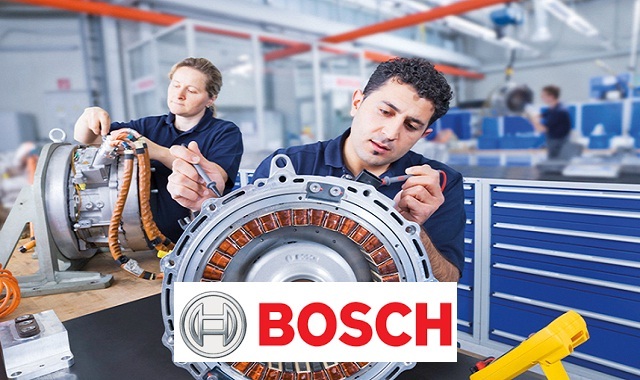 Walk-in Drive for Robert Bosch 2018 @ Bangalore - Apply Soon. Experience in preparation and execution of test strategy, test plan and test specifications. Good understanding of Project/Test Life Cycle. Programming experience in Python, TCL, Perl, Shell, C#, C++, C.
Testing certifications would be an added advantage. Experience in usage of Test and Measuring Equipments. Product Testing Car Radio Navigation System, Car Infotainment, Telematics/Connectivity Unit. System Testing, Grey box testing, Test Automation & Road testing. Modules - Tuner, Audio, HMI, Media Navi, GSM, GPS, Power, Security etc. Design, Review & Execution of test cases. Reporting and tracking of the defects. Bangalore 560095, Land Mark-Opp to Forum mall."